It took over a billion dollars at the box office & now the Autobots will roll out again in your home! Transformers: The Dark of the Moon will land on Blu-Ray & DVD in Australia on November 10 & 3D Blu-Ray on December 1. The November 10 Blu-ray release will come in a Triple play pack featuring the movie on blu-ray, DVD and digital copy. The film’s story structure revolves around a genuine NASA manned mission to the Moon. 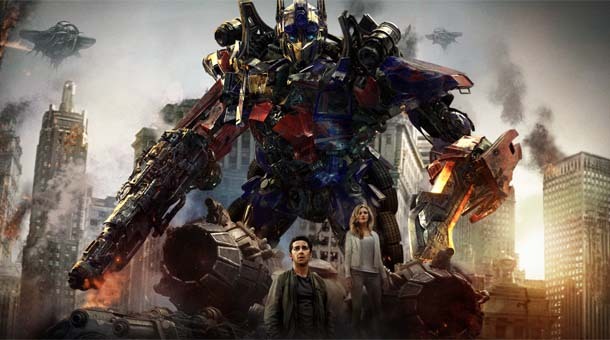 Three years after the events of the second film and 42 years after the Apollo 11 space race, the Autobots continue to work for the NEST (Networked Elements: Supporters and Transformers) military force. Meanwhile, the Decepticons unveil a plan to use the new groundbreaking technology, the Pillars, to enslave Humanity in order to save the home planet of the Transformers, Cybertron.